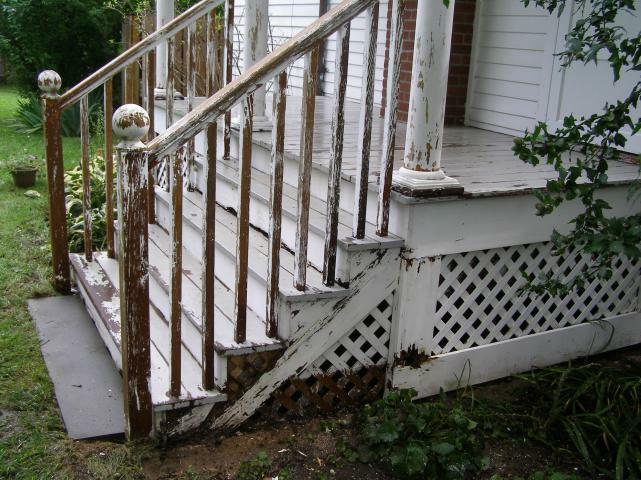 "Lou was very professional, and immediately saw the problems within our deck. 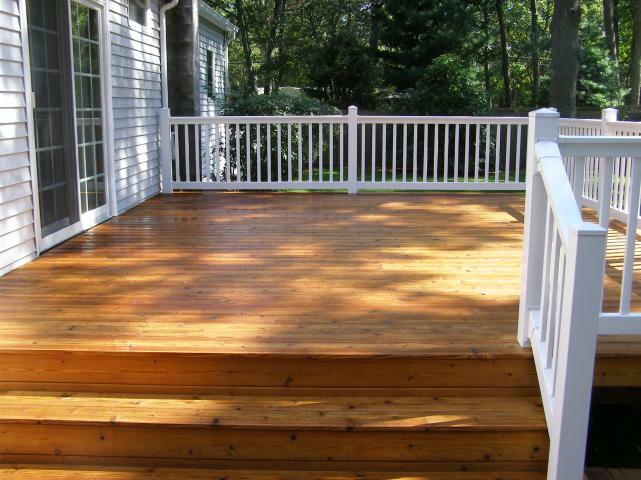 He was the only contractor who noticed the slant in the deck, and did a great job repairing it. Our deck was solid stained red originally with the same color rails. Our front porch was a different barn red that matched the shutters of our home. 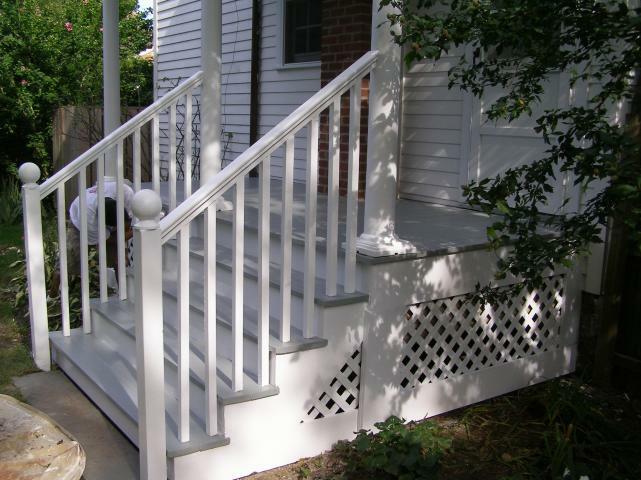 We decided to match the front porch and rear deck, and it came out beautiful. We couldn't be more satisfied. 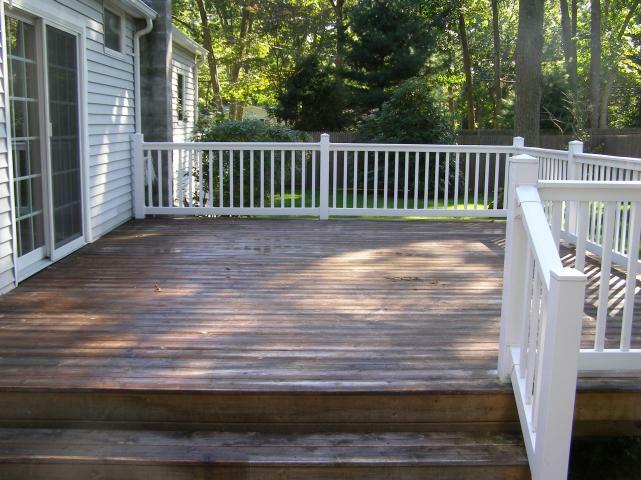 We would recommend Lou to anyone looking for deck work, and plan to use him in the future! THANK YOU LOU!" 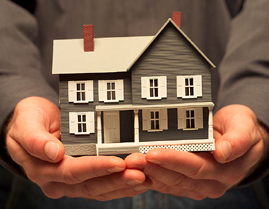 "I was extremely pleased with the job from start to finish. 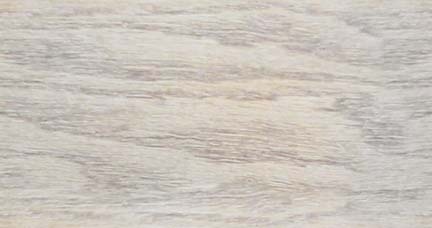 Lou was very professional and helpful in explaining the options for refinishing my deck and and helped me decide on what would work best while still fitting within my budget. He was always reachable by phone or e-mail to answer any questions and went out even came back after the job was finished to help move some of the heavier items back onto the deck. I wouldn't hesitate to recommend him to any of my friends. " "Lou was very responsive, fast, reasonably priced and did a good job on my front and rear decks. He returns calls and e-mails promptly. I will certainly contact him again the next time I need this kind of work done." To see all our Ratings, please feel free to visit this site below! Learn more about LB Maintenance & Contracting, Inc.
Pictures and Testimonials say it all! Copyright 2010 LB Maintenance & Contracting, Inc: Deck Restoration Service. All Rights Reserved.